NuggMD is making it easier, and more affordable, than ever for California residents to obtain their medical marijuana card. No one wants to wait through a long, drawn out visit to the doctor’s office, only to be hit with an overpriced co-pay on the way out. 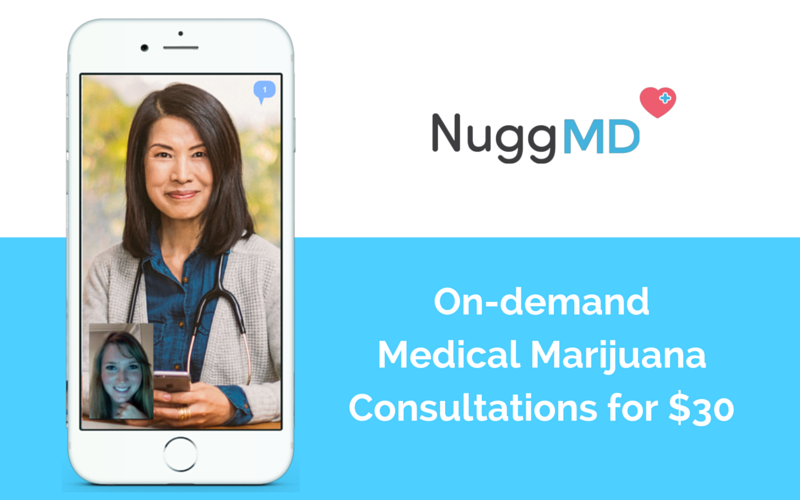 With NuggMD, patients are able to connect with a doctor over the internet in just minutes. After a short, affordable evaluation, approved members can obtain their medical marijuana card instantly, along with access to a network of dispensaries; all without ever leaving home. 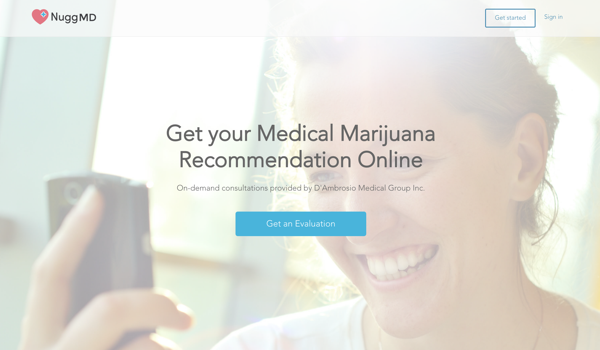 NuggMD is revolutionizing the medical marijuana evaluation in California. Gone are the days of waiting twenty minutes in an office, only to be taken to a different, smaller room to wait another half hour, until finally seeing a physician. Now, with just a few clicks, patients can come face-to-face with a licensed medical practitioner. Available through a laptop, smartphone or tablet, NuggMD members begin by filling out a short, three-step profile. Basic information such as name, date of birth, address and email are collected to ensure a confidential process. More pertinent health information is gathered in step two, helping to determine which medical condition is being treated. After arranging payment in step three, qualifying participants then go on to video-chat with a doctor for five to ten minutes, undergoing the same medical marijuana evaluation every California-pot-seeking patient must endure. If approved for a cannabis card, members pay a $30 fee for the evaluation and a $10 shipping fee for the signed and embossed medical marijuana recommendation card, accepted at all California dispensaries. NuggMD mails cards the same day as approval, guaranteeing minimal wait time; a digital version is available immediately. All member information is stored in an HIPPA compliant database, ensuring the entire process is completely safe, private and secure. If you’re still skeptical about entering private health information over the internet, and would like to speak with a doctor before signing up for anything, NuggMD has thought of that, too. As soon as you enter the site, a live-chat feature is offered on the right side of the screen. California, board-certified doctors will respond quickly to any questions or concerns you might have about using cannabis or the process of obtaining a medical marijuana card. Once approved for a cannabis card through NuggMD, members can instantly begin ordering medical marijuana and other ganja products from hundreds of California dispensaries, all through their user-friendly platform, Nugg. This unique feature of NuggMD allows members to find and rate dispensaries, earn special discounts, learn about new products, read the Nugg blog and even order home deliveries. NuggMD has left nothing up to chance, covering every need a new medical marijuana patient might have. If you are already a member of Nugg, you can use the same login to register for a medical marijuana evaluation on NuggMD. The two websites go hand-in-hand, making medical cannabis more accessible than ever before. If you’re lucky enough to live in California, save yourself some time and hassle by getting your ganja the easy way. Get your rec online with NuggMD. Have you used NuggMD or Nugg? Let us know on social media or in the comments below.